In Scotland, in early March, Katie Allan, 20 years old, was arrested for drunk driving and convicted to 16 months in Polmont Young Offenders’ Institution. Less than three months later, in early June, Katie Allan was “found dead” in her cell. On, October 4, William Lindsay, also called William Brown, was brought before a magistrate for possession of a knife, assault, and breach of peace. Although he was “flagged” as a suicide risk, William Lindsay was sent to the same Polmont Young Offenders’ Institution. Within 48 hours of arrival, on Sunday, William Lindsay was “found dead”. Now Katie Allen and William Lindsay lay in the same narrative ground, buried in expressions of “sympathy” and “tragedy”. William Lindsay was the fourth youth to commit suicide in Polmont Young Offenders’ Institution in two years. After Katie Allan’s death, absolutely nothing was done to ameliorate the situation. There was no tragedy. There is no tragedy in multiply redundant public policy. Katie Allan’s and William Lindsay’s families demand justice. We all should. We all should ask, “How many deaths will it take til we know that too many people have died?” How many deaths will it take til we know that too many children have been sacrificed … and for what? Katie Allan studied geography at Glasgow University. One night, she drank way too much, got in her car, and went to drive home. On her way, she hit a 15-year-old-boy who was out for a run. She knocked him unconscious and left him in the middle of the road. When she appeared in court, she expressed great concern for the boy, great remorse for what she had done, and said she was ready for her punishment. She kept putting her hands before her, as if to accept handcuffs. Katie Allan was ready for justice. Katie Allan was also a young woman who self-harmed, often. Her parents told the authorities that Katie needed help. She got no help. Her parents say she was bullied and regularly subjected to strip searches. She never received any medical or psychiatric treatment. By the time Katie Allan was “found dead”, she had pulled out much of her hair. This is not a tale of tragedy but one of horror. Why did no one in the system help this young woman, who obviously needed assistance? Why must the parents be the ones to advocate, during life and, even more, after death, for justice for their loved ones … and for the loved ones of others? How many suicides in custody does it take for an agency to recognize the peril? 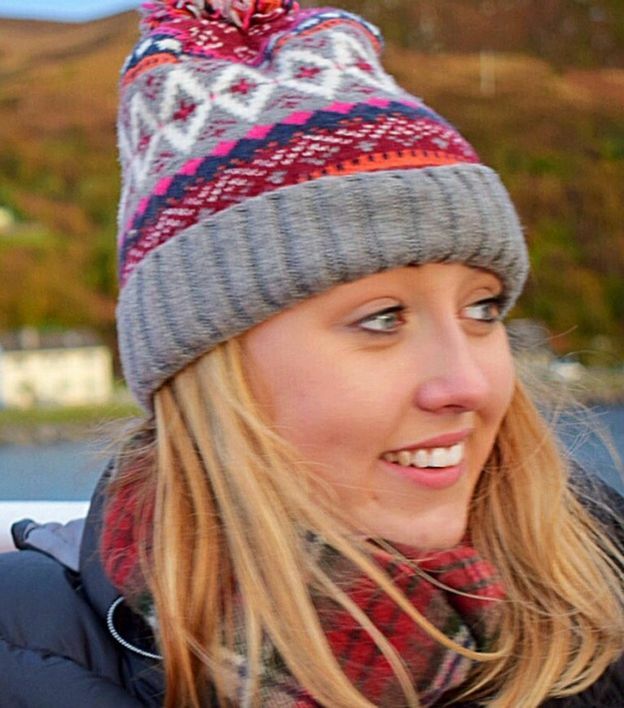 On Friday of this past week, Scotland’s Justice Secretary announced that a “review would examine arrangements for young people with mental health issues entering custody, including the information available about their backgrounds, reception arrangements and on-going support and supervision while in custody.” Almost a full six months after Katie Allen was put into a suicidal situation. What would have happened if William Lindsay had not suffered the same death by omission sentence? How many deaths does it take? On November 25, 2018, International Day for the Elimination of Violence Against Women, think of Katie Allan and all the women who have been sentenced to death by omission of care, all the women who have been knowingly sent to their deaths by throwing them into cells like so much trash and then waiting for the moment to “find them dead.” How many deaths does it take til we know?